Want to improve your live performance musical skills? 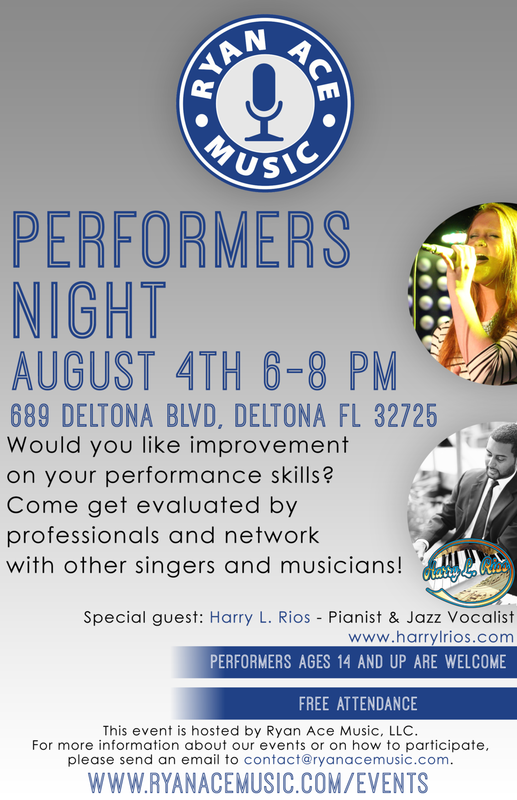 Come and get evaluated by professionals that will help you become a better musical version of yourself! Ages 14 and up are welcome! Special guests will be invited, don’t miss out on this opportunity! Come check out our 2018 Holiday Recital and support some amazing young talent! 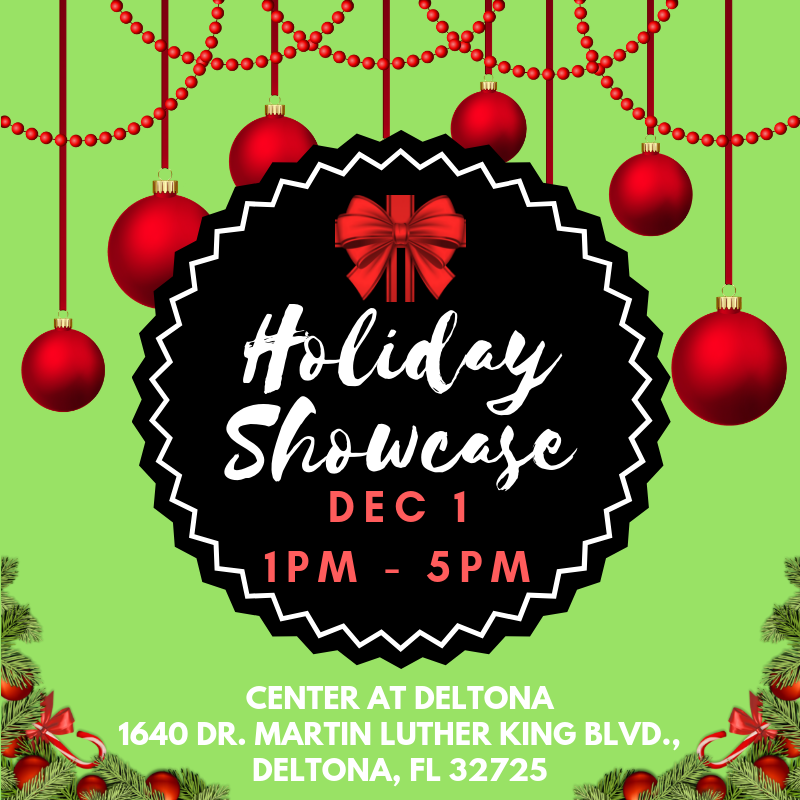 Our event will be at the Youth Performing Arts Training Center in Deltona on December 1st from 1:00-5:00 PM. We would love to have everyone in attendance along with family and friends! For those participating in the junior recital portion we request that you be at the location no later than 12 PM and for the senior recital portion 2:30 PM dressed formal. There will be a $20 recital fee for music student participants and a $50 production fee for acting or dancing participants. For further information on our Holiday Recital please contact ryanacemusic@gmail.com or the Youth Performing Arts Training Center website! Don't miss our Winter Recital on December 8th! To RSVP, click the button below. We will be having a Spring Recital on April 1st at 7 PM! Please come and support the local young talent in the community! Ryan Ace Music will be having a spirit night at the Chick-fil-A in Orange City on April 14th from 5pm-8pm. If you mention Ryan Ace Music, then 20% of your purchase will go towards the cause! I will remind you as the date gets closer. See you there! Ryan Ace Music will be presenting the Music Fund for Kids at the 5th annual Delandapalooza Original Music & Art Festival on April 9th. Llisten to over 150 original artists on 28 stages! Stop by our booth between 10am and 7pm. Food, Games, Face Painting, Dunk Tank, Bounce House, Live DJ, Hula Hoop Contest, Pie Eating Contest, Volleyball Tournament, Local Business Booths, Live Entertainment And Fun For The Whole Family! This event is for the entire community so invite all your friends and family!! Come and support Ryan Ace Music, and don't miss out on an awesome time!